No Regrets. Jockey Club name Ms Lady Longneck. 1998 Thoroughbred mare by Le Merle Blanc ex Lady Longneck. 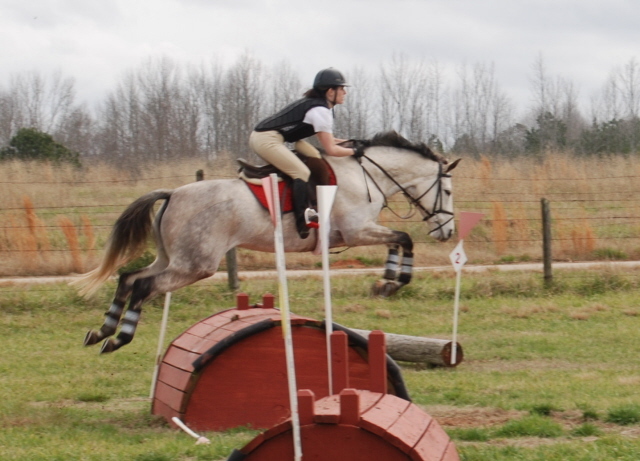 Megan purchased Greta off the track as a 4 year old to retrain for pony club and eventing. She competed her at the lower levels for several years, and she produced a foal for us in 2005. In 2007, the year after Megan & Lee were married, they sold Greta to a young rider who competed her at the Novice level and participated in USPC. 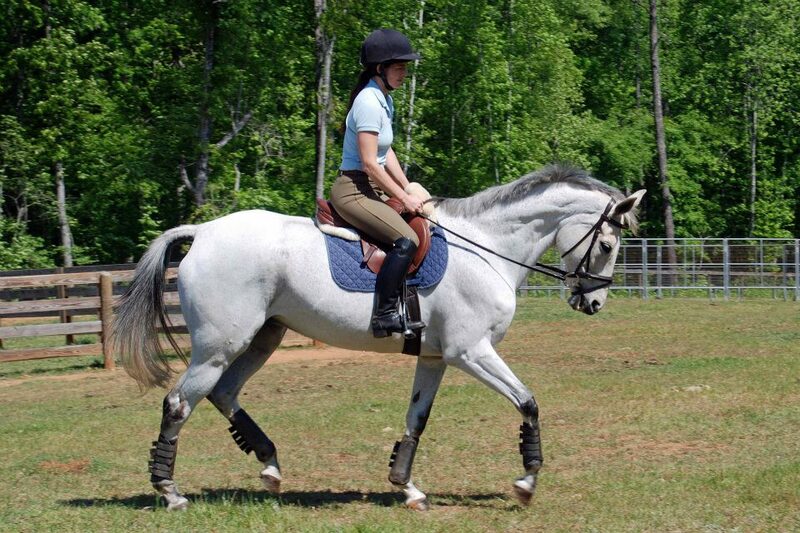 Luckily, when Greta's young owner lost interest in riding, Megan & Lee were able to purchase her back. She came back to their farm in July of 2010. 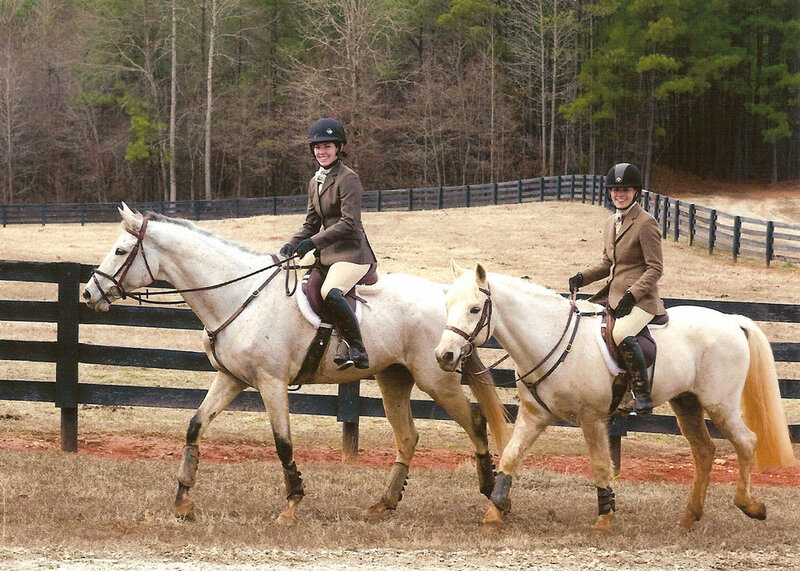 When Greta returned, Megan started training her for foxhunting; hunting turned out to be a perfect fit for Greta, and she developed into a wonderful 1st flight horse. 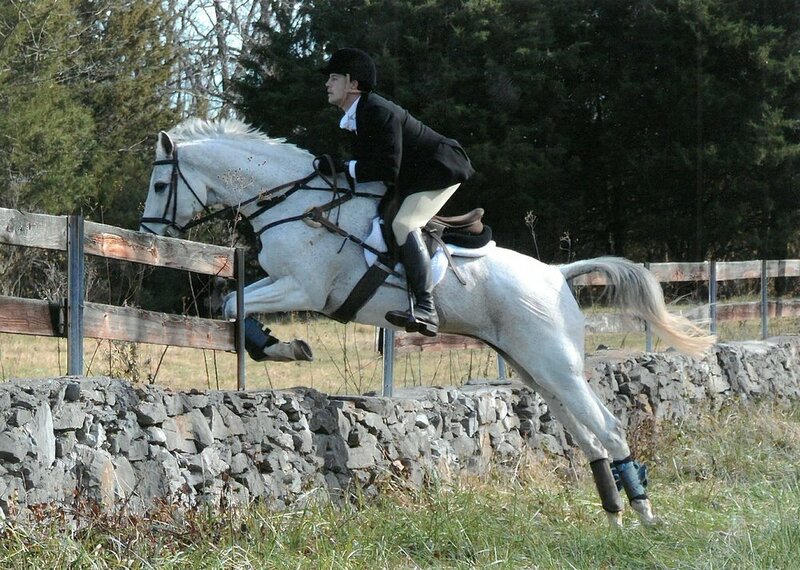 Lee began dabbling in riding, and in 2012 he fully took over the ride on Greta. He quickly moved up from 2nd flight to 1st, and in less than a full season he was up in the front of the field jumping coops. She helped him earn his colors in 2013. She pulled double duty in the '13-'14 season, hunting full time and carrying her second foal. She produced another colt for us in 2014. 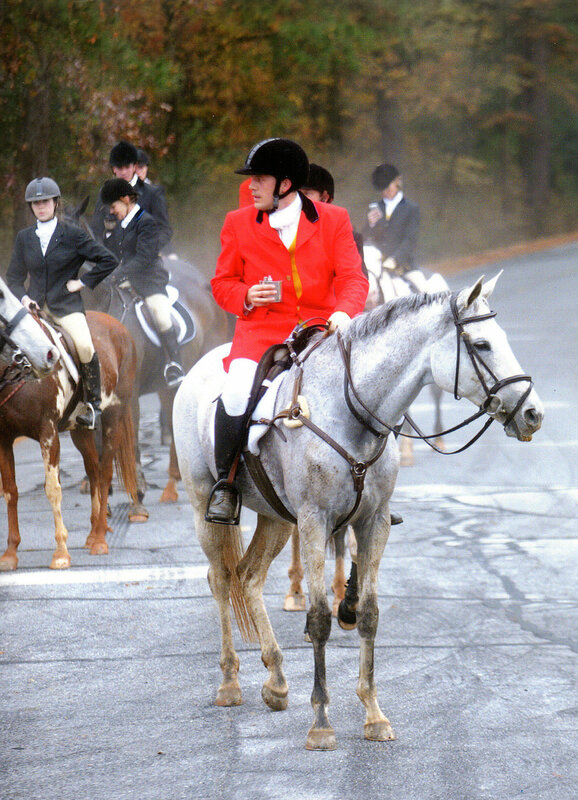 In her seven seasons of hunting, she went out with Bear Creek, Midland, Shakerag, Belle Meade, Blue Ridge and Rappahannock. She never hunted in anything but an eggbutt snaffle! Greta finished the '16-'17 season fat and sound, so at 19, we decided to pull her last set of shoes and allow her to live out the rest of her years in happy retirement. 2005 Chestnut Half-Welsh gelding by Shenandoah Samoa. Children's pony in New England. 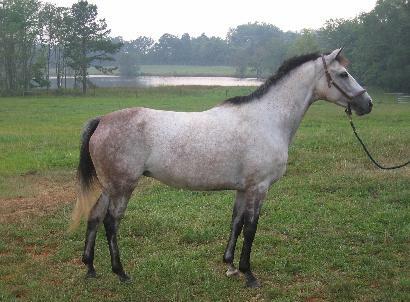 2014 Bay Thoroughbred gelding by Artrageous. Deceased.